Fandom extraordinare? KalElle’s Fandom subscription box has you covered. 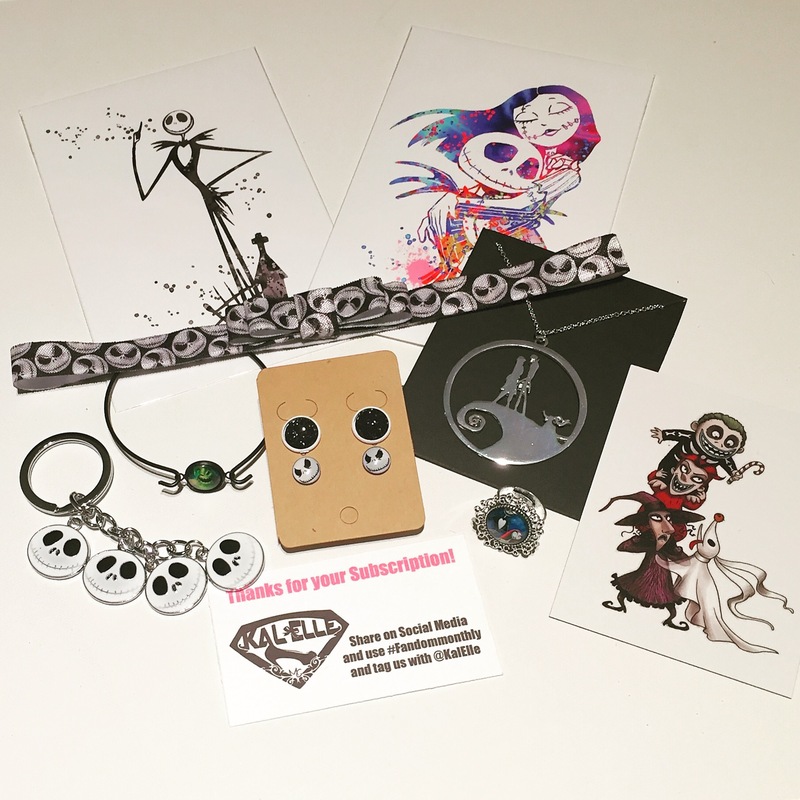 You will get a box of fun accessories and items themed each month similar to this Nightmare Before Christmas box. I actually love this movie, I watched it this Halloween and then sat there confused wondering… Is this a Halloween movie? Or a Christmas movie?! Does anybody know? Either way I love it and actually have the main theme song on one of my Spotify playlists! HeeHee! In this box they threw in quite a few jewelry items, two pairs of stud earrings, a bracelet, a ring, a necklace, there’s a keychain, and also a cute headband. I like the print art that was included, I would say the multi coloured one was my favourite item actually, it’s super cute. They have some really fun past boxes as well. Love the Hunger Games box, the cutest necklace, bracelet, earrings, hair ties… I love it all!